Does Filing Chapter 7 Bankruptcy Really Offer a Clean Slate? Groce & DeArmon: Does Chapter 7 Bankruptcy Offer a Clean Slate? It is often repeated that filing for Chapter 7 bankruptcy will leave the debtor with a “clean slate.” While it is true that debtors can eliminate significant amounts of debt by filing for Chapter 7 bankruptcy, it is not completely fair to say that they are left with a blank slate after filing. For descriptions of “blemishes” that may remain after filing, read on. The team at the law firm of Groce & DeArmon, P.C. provides some information regarding debts that may not be liquidated by declaring bankruptcy and how bankruptcy can persist on your credit record. It is important to recognize that some debts simply cannot be discharged when you file for Chapter 7 bankruptcy. Barring any highly unusual and extenuating circumstances, these debts will remain after filing, and you will be expected to pay them in full. For instance, debts owed for child support or alimony will remain. Debts owed to spouses or former spouses will remain. Fees and fines to attorneys and courts related to these process will also remain. Debtors can expect things like student loans or debts to government institutions to remain. Fines for negligent behavior such as drunk driving will remain. Debts that the debtor fails to include on the bankruptcy petition will also remain. It is possible for debts that should qualify for discharge to have their discharge denied based on certain factors pertaining to the debtor’s ability to provide the proper documentation for his or her debts. Debtors who are unable to provide required tax materials, who fail to complete a course on personal finances, who attempt to commit fraud, or who violate court orders will have their discharge denied outright. Creditors can object to the discharge of debts they are owed by the debtor. The court may ask that a hearing be held in order to make these decisions. Disputable debts include excessive credit card debt for luxury purchases within 90 days of the debtor filing for Chapter 7 bankruptcy. Cash advances of significant amounts may also be disputed if they were received within 70 days of filing. If the court disagrees with the creditor’s case, these charges will be discharged. Even if you have most of your debts discharged, you will still have the mark of bankruptcy on your credit record. While this in no way means that your credit is ruined or that you will have no financial life after bankruptcy, it does pose certain difficulties for the road ahead of you. With the guidance of a good bankruptcy lawyer, you should be able to minimize the hurdles and return to living with an almost clean slate. Contact Groce & DeArmon, P.C. If you’re considering filing for Chapter 7 bankruptcy, you will want to seek the legal aid of a bankruptcy lawyer. Contact the law firm of Groce & DeArmon, P.C. 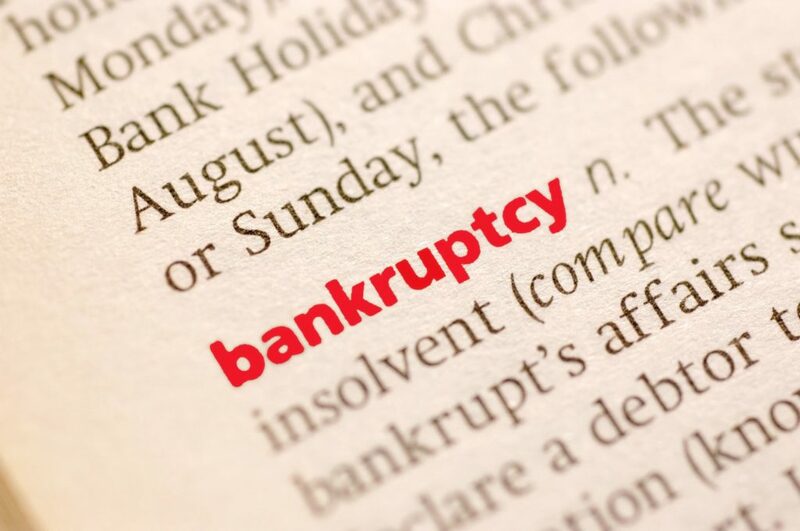 today to learn about whether Chapter 7 bankruptcy is the right option for you. It may not leave you with a completely clean slate, but it will certainly be cleaner than what you may already be dealing with. Reach us at 417-862-3706.